Where Health & Flavor Meet! 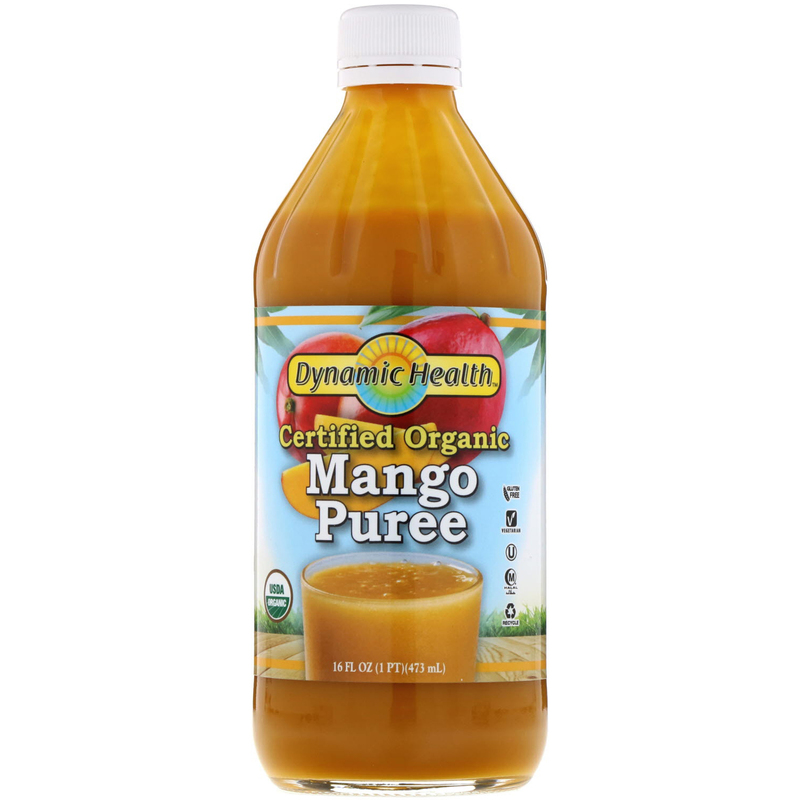 Dynamic Health Organic Mango Puree has no sweeteners, preservatives or other additives. Mango, commonly called "the king of fruits" is rich in nutrients including fiber, vitamin A and flavonoids. 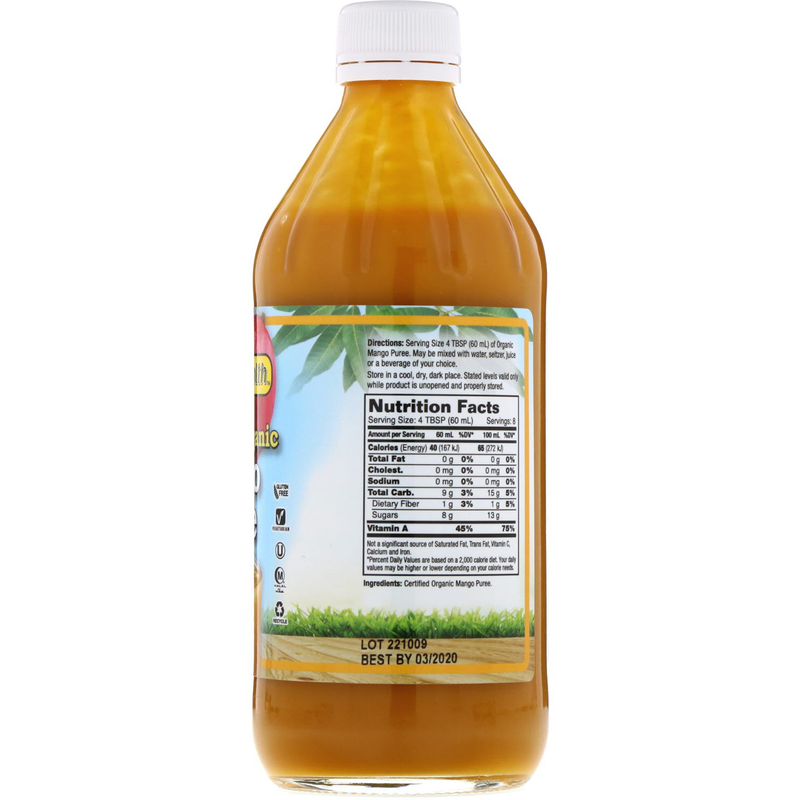 Nutritious Suggestions: Ideal for tropical smoothies, fruit cocktails and as a mixer. A delicious, natural topping for your yogurt, ice cream, fruit, pastry and dessert. Shake well before using. Refrigerate after opening. Serving size: 4 tbsp (60 ml) of Organic Mango Puree. May be mixed with water, seltzer, juice or a beverage of your choice. Natural ingredients in this product can vary the color taste and consistency from batch to batch. This does not affect potency or quality. Store in a cool, dry, dark place. Stated levels valid only while product is unopened and properly stored. Not a significant source of Saturated Fat, Trans Fat, Vitamin C, Calcium and Iron. * Percent Daily Values are based on a 2,000 calorie diet. You daily values may be higher or lower depending on your calorie needs.